Star Wars: Rogue One has proved to be one of the more widely-regarded Star Wars movies in a long time. Now, Fantasy Flight Games has brought ships from that film into the Star Wars: X-Wing franchise with the announcement of Wave XIV -Saw’s Renegades and the TIE Reaper expansions. The Saw’s Renegades pack doesn’t bring any new ships into the system, but it does have updated versions of some existing ships. It has two new ship miniatures: the U-Wing and a T-65 X-Wing, both pre-painted in Saw’s freedom fighter colours of white and black. Instead of new ships, the expansion will contain an assortment of new ship cards with pilots who are members of Saw’s group. It even includes Saw Gerrera himself flying the U-Wing. New upgrade cards for these two ships complete the package, with new tactics and systems that can be added. 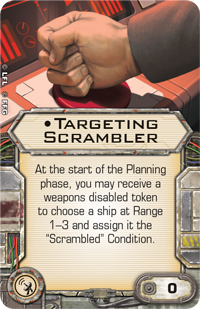 In all, the Saw’s Renegades expansion will have ten new ship cards and fifteen upgrades along with the two new miniatures. The other expansion, the TIE Reaper, is an all new ship that Imperial forces can use to transport elite troops to their destination. It’s more than a troop carrier, however. The Reaper packs a powerful offensive punch, rolling three attack dice when firing its primary weapon. While it does not have many defenses, only one die, its sturdy construction means that it will be able to take some hefty damage and still come through. In addition to that, it has a rather unique power for the X-Wing system. Having its main function be a troop transport, the Reaper comes with two crew upgrade slots, allowing players to transport elite Death Troopers or even the Emperor himself. If you have these troopers on your ship when flying close to a Rebel ship, the Rebel will receive a “stress” token. As stress accumulates, Rebel options become more limited and aids Imperial chances. The Reaper expansion comes with the pre-painted Reaper miniature as well as four different ship cards, eleven upgrades, a maneuver dial and everything needed to incorporate the Reaper into your Imperial fleet. Both Saw’s Renegades and the TIE Reaper are available for pre-order now and should come out sometime this year. Swarms and the TIE swarm, specifically, are as old as X-Wing itself. They’re also well-known and understood. In short, you fly a large number of similar ships, concentrate your fire, and batter your opponents with a giant pile of attack dice. The Imperial Assault Carrier Expansion Pack, with its Gozanti-class Cruiser, is about to be released. In a recent article, Fantasy Flight Games offers us a preview of the new TIE Fighter Pilots from the Imperial Assault Carrier Expansion Pack and how they use swarm tactics to their advantage. Like flies, gnats, rats, goblins, or group text messages, TIE fighters are not much of a threat when they are alone due to their insignificant size and fragility. But get a large group of them swarming together, focusing their attack on one entity, they can be formidable indeed. A staple part of Imperial strategy in the X-Wing Miniatures Game often includes the swarm tactic, with only a few aces and a large group of weaker, generic TIE fighters. The new aces included in the Imperial Assault Carrier Expansion Pack offer new possibilities in the form of synergistic abilities that didn’t exist before. This article describes the four aces (“Scourge”, “Wampa”, “Youngster”, and “Chaser”) in more detail, as well as several sample swarm scenarios. For more information on how swarm tactics work into this new expansion, read the full article here. Eagle-Gryphon Games is proud to announce Glenn Drover’s Empires: Galactic Rebellion, the sequel to the hit Empires: Age of Discovery, coming to Kickstarter Saturday, December 12. In the game, players will take on the role of leader one a rebel faction. Players will recruit and train specialists, scientists to help you develop technologies, smugglers to build trade networks, diplomats to sway Senate decisions, Heroes to conduct covert missions, and Troopers to fight your battles across the galaxy. Empires: Galactic Rebellion contains over 400 highly-detailed miniatures including 8 Capital Ship Fleet sculpts, 100 coins, and more. “When looking at the idea of a sequel to Age of Discovery, I wanted to create a game that would be familiar to fans of the original game, but was a unique game experience. The theme allowed for a new starting point and suggested many new mechanics that could make the game very different and interesting. The galactic senate, the imperial military (planet-side troops and fleets), covert missions, and lots more conflict (as you would expect in a Space Opera-Galactic Rebellion type game) make for a new experience that’s also tremendous fun,” says Glenn Drover, designer of Empires: Galactic Rebellion. Watch for the release of the Kickstarter on December 12, 2015. Treefrog Games has released two new rules sets that are currently available for download, one for Ships and the other for A Study in Emerald: 2nd Edition. To access these new rules sets, simply visit Treefrog Games’ website, or click on the names of the games above. More information has come out about Martin Wallace’s new game “Ships”. This title is very much the spiritual successor to his game Automobile. Bearing many of the same game characteristics and mechanics from Automobile this game will have you playing the part of a shipping magnate over time. This game presents with less complexity in learning the game but will have you making much more meaningful decisions throughout the game and likely will require you to develop deeper strategies. You will have to make strategic decisions about where to put your resources whether it is building up the power of your ships, putting out diverse sets of goods or going for the quick buck to fund your engine. Each round consists of two phases the first you choose to either take a card or perform some commercial operation. In the second phase you will be placing, moving, or retrieving a ship. like many Wallace games these simple choices will become tenuous and will inevitably require you to make some very hard decisions. To read the designers full write up on this game head over to their site here. The upcoming release of Fantasy Flight Games’ Star Wars: Armada has generated significant excitement, especially after their last news release concerning the overarching design of fleet-building in this new miniatures game. Now, FFG introduces the first wave of expansion packs for the game, which include two capital starships for the Empire: the Victory-class Star Destroyer and the Gladiator-class Star Destroyer. The Victory-class Star Destroyer is included in the core set, but the expansion version of this ship will include different upgrades. Players will be able to choose from the Victory I-class and Victory II-class ships, which carry differing fleet build points and slightly different-yet significantly different-upgrade possibilities. The Victory-class Star Destroyer is a powerhouse, and each of the fourteen upgrades in this expansion pack offers a variety of strategic possibilities. The Gladiator-class Star Destroyer is faster and more agile than the Victory-class, equipping it with a more balanced distribution of armaments and more speed, yet at the cost of reduced command capabilities and a similarly reduced cost to deploy to the fleet. 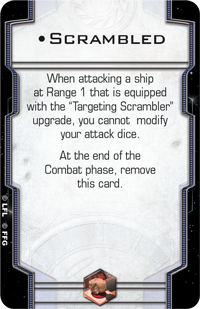 In an upcoming news release, FFG will present the capital starships of the Rebellion. For more information on these two Star Destroyer expansions for the Star Wars: Armada miniatures game, visit the article on FFG’s web page. These kinds of statements, which are often under-informed, are prevalent in the gaming hobby of late. With the tabletop gaming hobby growing at such a rapid pace, hobby gamers are becoming increasingly aware of how heavily the shipping industry affects the supply of games. While game designers, publishers, and distributers, not to mention game retailers, would love nothing more than to put the latest game release in the hands of thousands of consumers, the unavoidable shipping variable stays constant in the game release equation. According to a recent article published by Southern California Public Radio, the Pacific Maritime Association (PMA), which represents shipping companies, has asked the federal government to intervene in the standoff between the PMA and the International Longshore and Warehouse Union (ILWU). With this intermediary aid from the government, the PMA hopes to resolve the now seven-month negotiation impasse regarding the provision of contracts to shipping dock workers. This arrangement is one-sided, however, as the ILWU has clearly not requested this assistance, and both parties must agree to federal assistance before the government can legally step in. For more information on this story, visit the full article.